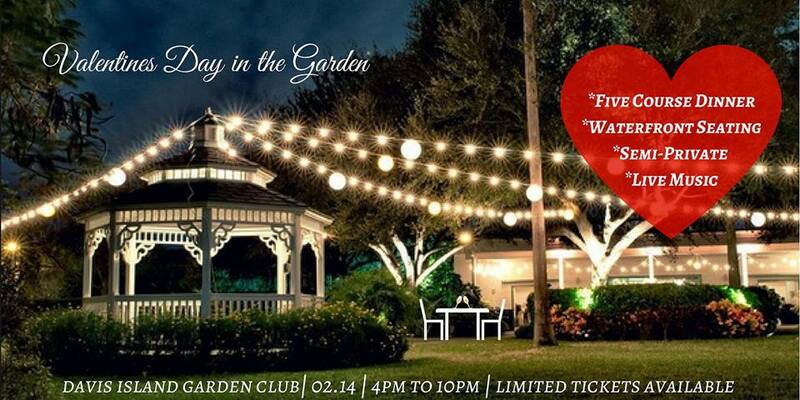 Join us at the beautiful Davis Island Garden Club for a romantic semi-private 5-course dinner and live music this Valentine’s day! Choose a table for two along the Davis Island sea-wall, in the garden club gazebo (waterfront) or candlelit between the trees. All tables will have a waterfront and Downtown Tampa skyline view.